Material Imagination examines the interrelated concepts of matter, materialism, and materiality in postwar European art, from 1946-1972. Buy Material Imagination by Natalie Adamson from Australia's Online Independent Bookstore, Boomerang Books. 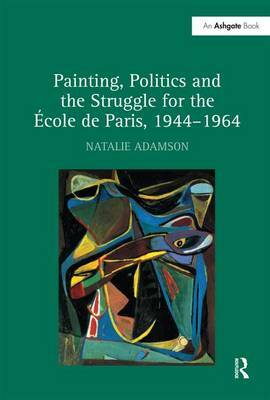 Natalie Adamson is Senior Lecturer in Art History at the University of St Andrews, and was Deputy Editor of Art History from 2012 to 2017. 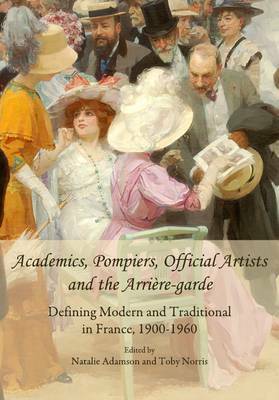 She is the author of Academics, Pompiers, Official Artists and the Arriere-Garde: Defining Modern and Traditional in France, 1900-1960 (2009) and Painting, Politics, and the Struggle for the Ecole de Paris, 1944-1964 (2009). She currently holds a two-year Major Research Fellowship from the Leverhulme Trust for a book project provisionally entitled Pierre Soulages: Radical Abstraction. Steven Harris is Associate Professor in History of Art, Design and Visual Culture at the University of Alberta. He is the author of articles on surrealism, postwar abstraction, and Fluxus, and the book Surrealist Art and Thought in the 1930's: Art, Politics and the Psyche (2004). His current research project, The Poetics of Disenchantment, investigates both the surrealist movement in the postwar period, and how surrealist ideas and values were taken up or challenged by postwar European collectives like Cobra, the College of 'Pataphysics, and the Situationist International.